Permits are required by all visitors to the APY Lands, and for employees to remain in residence on the APY Lands. DSD-AAR staff will be undertaking feedback sessions on the APY Lands and in Alice Springs with key Anangu stakeholders. Based on advice from APY, previous meetings scheduled for February 2016 were cancelled due to Cultural Business. APY representatives at an Indigenous Cattlemens Workshop held in Katherine on the 25/26 Nov run by the Indigenous Pastoral Programme. 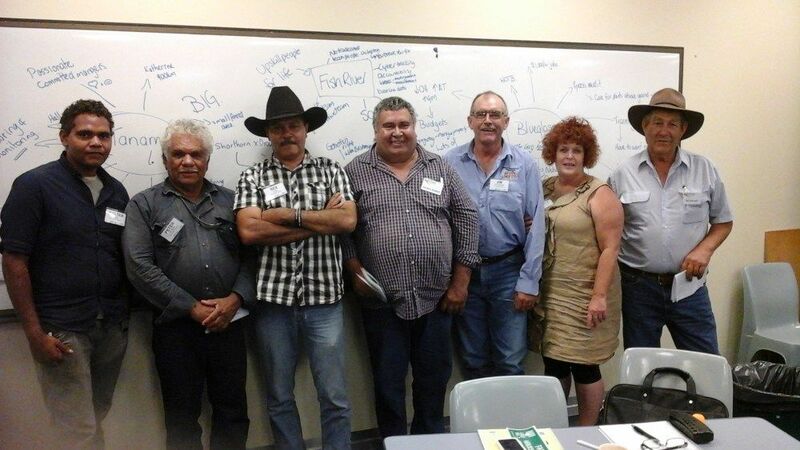 This workshop was run to allow Managers and TO’s from different Indigenous properties throughout SA, WA and the NT to share, learn and listen to presentations and discuss ways of running successful, profitable, safe and fun cattle enterprises. Some properties are experiencing very successful outcomes by making the most of training and advise readily available and then be able to make smart decisions moving forward. One of South Australia’s most endangered mammals being brought back from the brink. Anangu Pitjantjatjara Yankunytjatjara (APY) Land Management’s Warru Project team conducted a trapping event over four days within a feral-free fenced area otherwise known as the Pintji (pronounced “pin-chi”) located in the north east of the APY lands. The trapping was undertaken to assess and monitor one of South Australia’s most endangered mammal species, the Warru or Black-footed Rock Wallaby, (Petrogale lateralis).